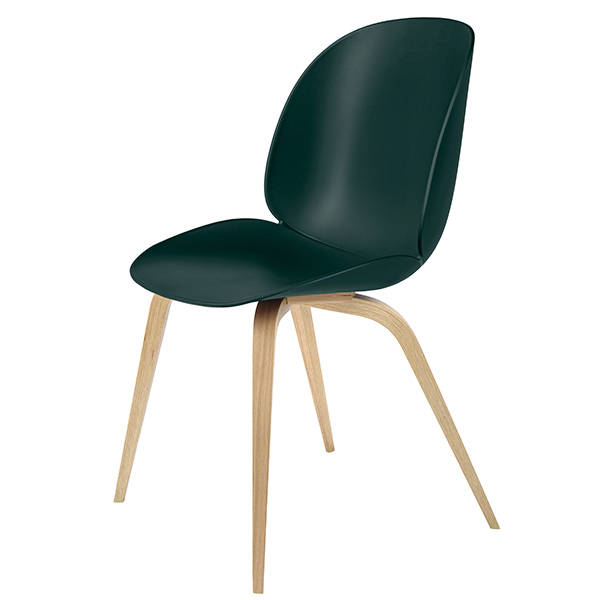 Gubi’s Beetle is a collection of elegant and comfortable chairs, designed by Danish-Italian design duo GamFratesi. Stine Gam and Enrico Fratesi drew their inspiration for the playful chair design from the anatomy of beetles, which is apparent in the delicate, insect-like legs and hard, curved shell. Launched in 2012, the Beetle chair is suitable for a variety of uses and spaces and comes now in several colours and materials.